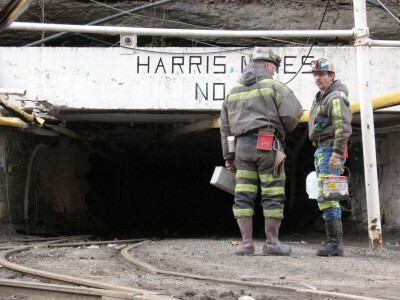 Coal miners gather for the beginning of their shift at the drift entry. 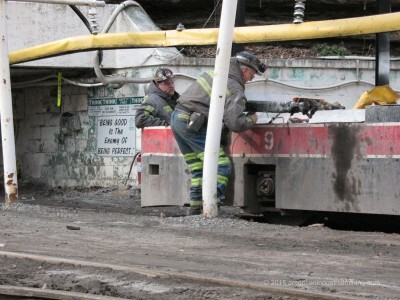 Checking the sand level on the GE supply locomotive before going underground. 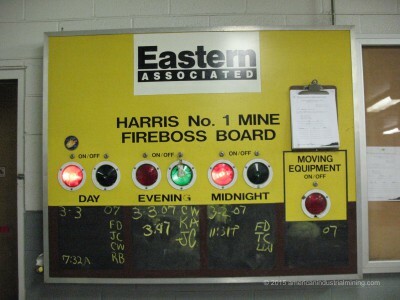 Fireboss jeeps have returned on the left to give the ok for a safe mine prior to shift start. 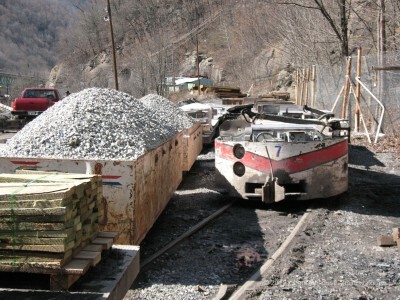 Supply trains in a holding pattern to take the necessary materials for the days planned tasks. 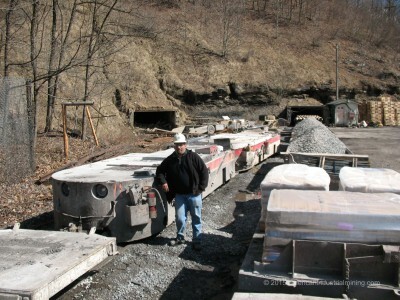 Ray Mercado explaining how the mine cars loaded with coal used to exit these portals to the rotary dump. 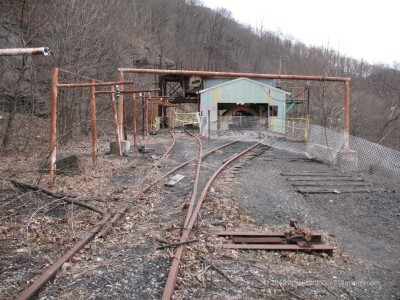 The no longer used railway to the rotary dump. 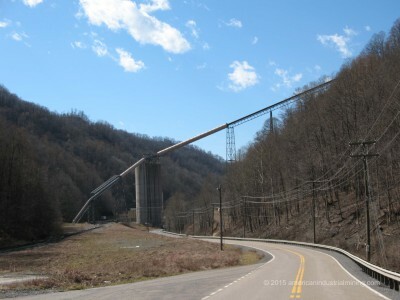 The rotary dump processed millions of tons a coal per year when it was in service. 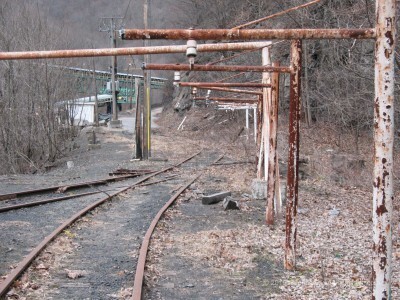 It was replaced by belt lines in the later years. 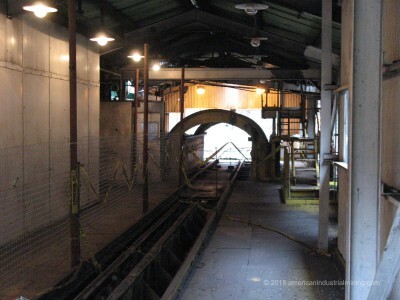 The exit side of the rotary dump. 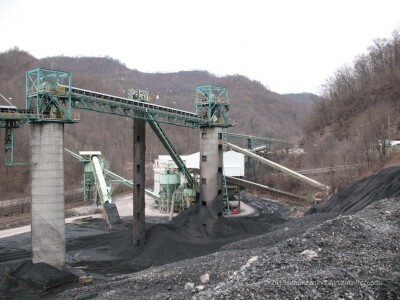 The exit side of the rotary dump fed the coal to current prep plant. 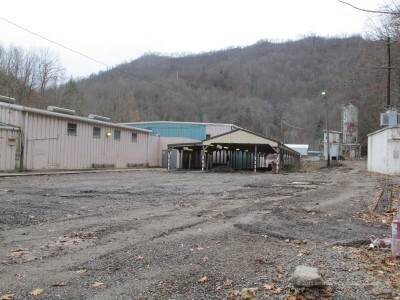 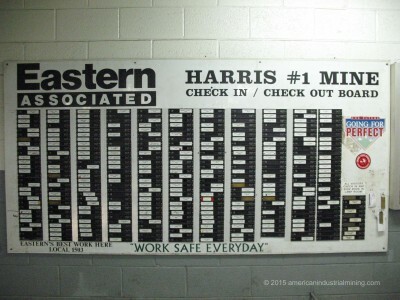 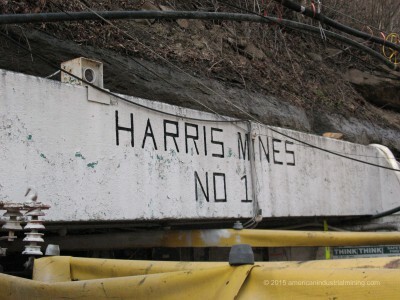 The coal miners of the Harris #1 Mine begin their shift. 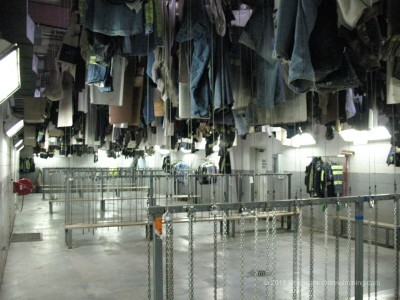 The last daylight they will see for the next 8 to 16 hours. 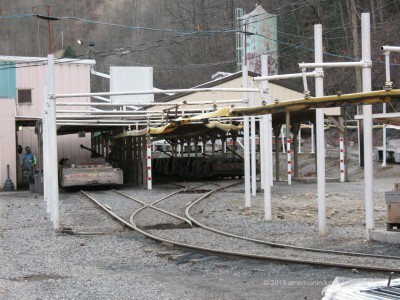 A completely different scene in 2010 following a major roof fall on the main belt line. 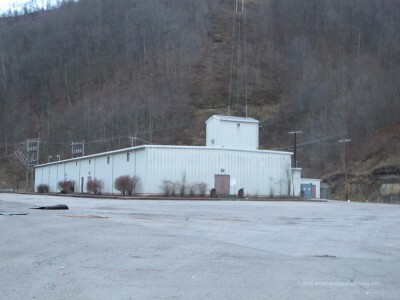 Caused the mine to close for good and become silent. 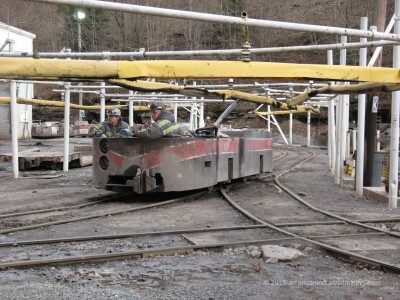 The mine disassembled and the assets relocated to other mines. 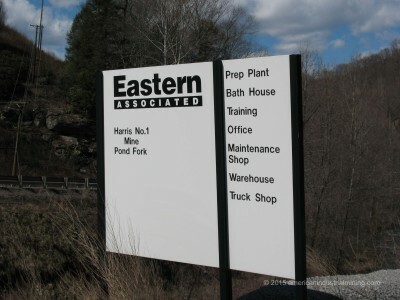 Unfortunately many miners lost their jobs during this closure. 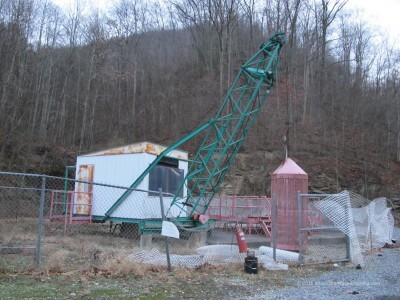 A rescue capsule at the main shaft portal still remained in 2010. 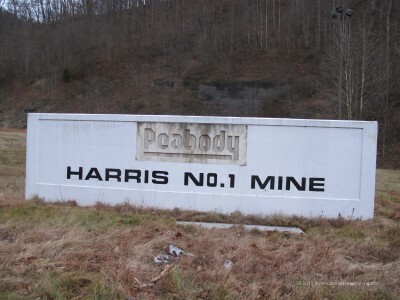 A original Peabody Coal sign still was standing despite the closure of the mine. 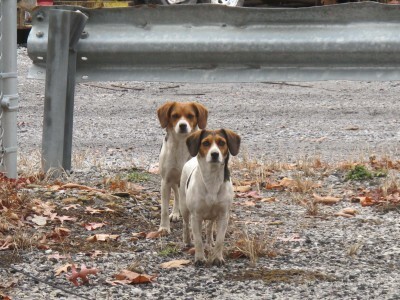 A few stray dogs still wondered the mine site looking for their fellow friends. 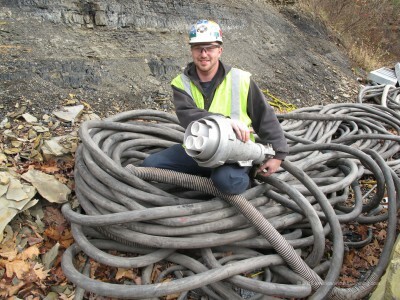 Mike Oestriech holding the plug of a high voltage 3-phase extension chord. 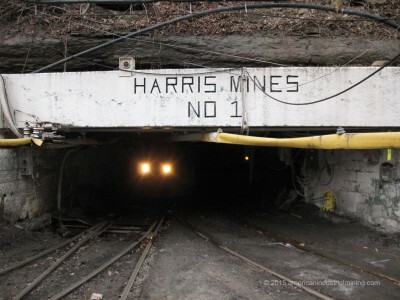 MINING WAS COMING BACK !!! 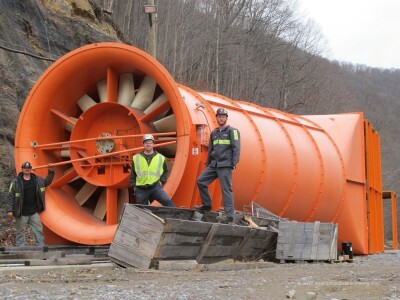 From left to right the American Industrial Mining team Pete Jedlicka, Mike Oestriech and John Krenzel stand by a brand new fan being installed on a different coal seam at the Harris 1 Mine site. 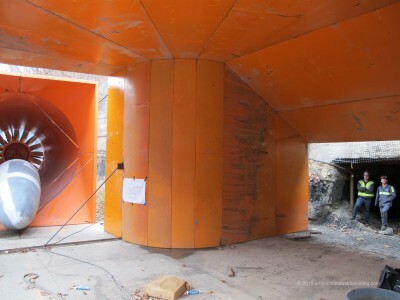 Mike and John standing off to the side near the new ventilation shaft inside the fan. 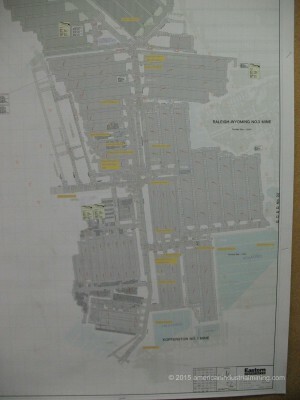 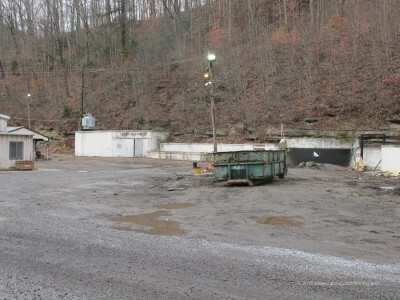 All pictures and on-site visits were granted with permission by Patriot Coal officials.